helped identify a medical team’s misdiagnosis. 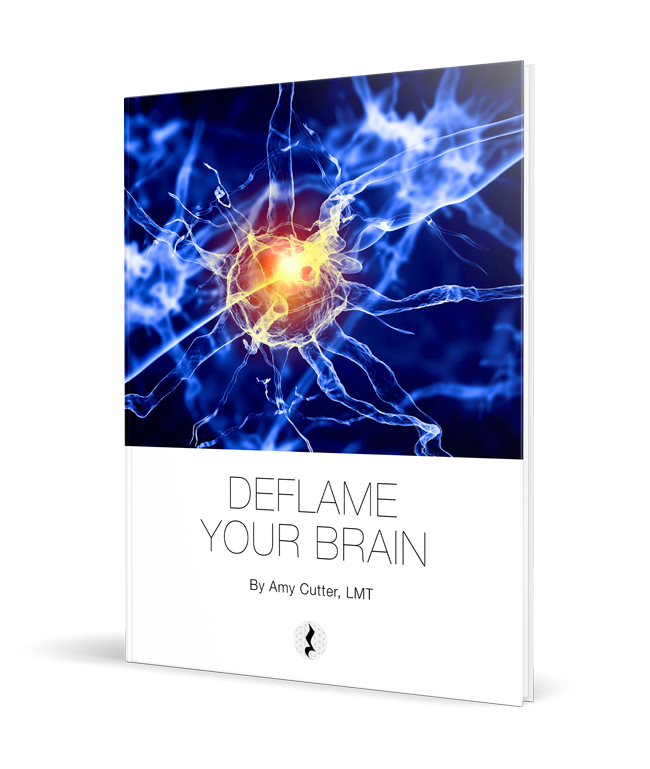 The “Deflame Your Brain” protocols take a three-pronged approach, balancing brain, hormones and chakra. Amy used her combined background in music, massage and laser to develop the protocols in this book. They were refined over the course of several years through consistent testing on her loyal clients, which led to tremendous successes and countless changed lives. When I first started utilizing the Deflame Your Brain protocols, I was blown away by the results. They were so effective that I was compelled to not only keep using them, but to share them with other practitioners in the hopes of making the world just that much better. “After hearing about laser therapy, I decided to give it a try to gain control of some anxiety issues I’d been having during a stressful time in my life. During the laser treatments I felt calmer in my head and more relaxed than I was going into the treatment. After the treatments I felt less tension in my head and more relaxed in my overall being. “Before undergoing laser phototherapy, I had feelings of anger, resentment, pain and even hatred towards my mother. When I first walked into Amy’s office, I felt extremely heavy. but emotionally it was incredible. I could feel all of these strong feelings begin to lighten and that allowed me to gain an understanding of what I was really looking for in our relationship. I was emotional, even wanting to cry at one point during the session because I feel I was truly at a point of ‘letting go’--something I had originally been so far beyond, but now it was the only thing I could feel.